The MVME712-101 is used as the interface between Motorola's MVME1xx RISC and CISC Single Board Computers, such as the MVME147, MVME162, MVME167, MVME187 and MVME197 families of VMEmodules, and their peripheral devices, on XR chassis. 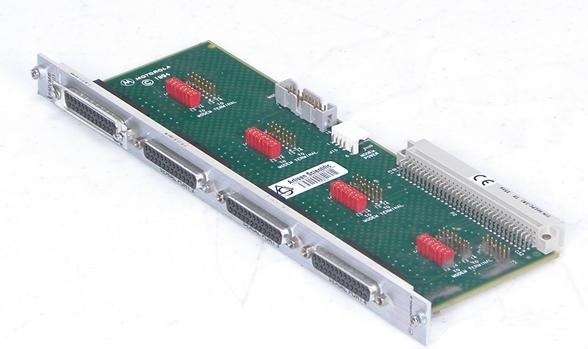 A P2 adapter module and cables are not required for interconnection between the MVME712-101 and the MVME1xx-family VMEmodule. Four DB-25 connectors for the serial ports. The serial ports may be configured for use as DTE or DCE through jumper arrangements on the MVME712-101.